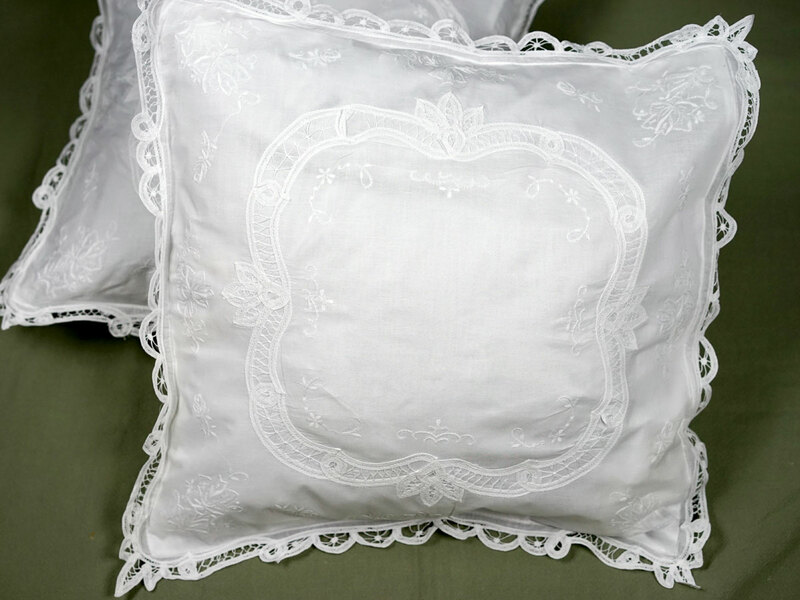 This set of 2 white throw pillow covers with battenburg lace and rose embroidery is absolutely lovely. Each throw pillow cover fits a 16" x 16" standard pillow form. 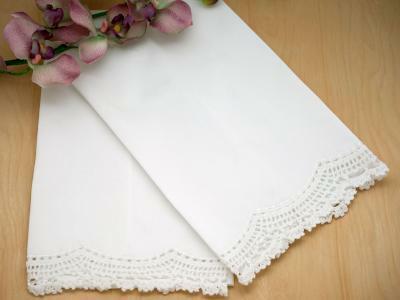 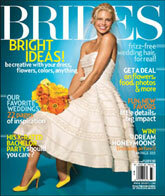 Throw it on your couch or your bed to add some elegance to your household. 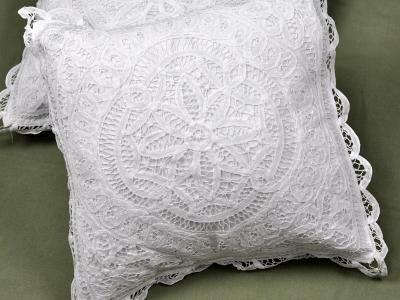 Pair of Throw Pillow Covers with Battenburg Lace Customers have rated this product	5 out of 5 based on 1 rating(s).